Fleetwood Mac are set for a return to the UK & Ireland's arenas in 2015. The rock legends will bring their 'On With The Show' tour to London, Birmingham, Manchester, Glasgow, Dublin and Leeds as part of a wider European trek next year. The band will be back at full strength during the 2015 tour, because Christine McVie has now re-joined Fleetwood Mac following a 16 year absence. Speaking about Christine's return, the other band members said in a joint statement: "As far as we're concerned, she's never really left. We are overjoyed to have Christine back on stage with us". 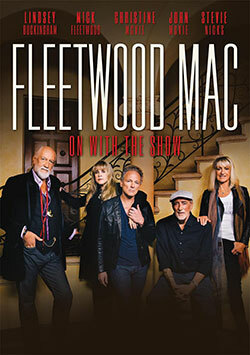 Tickets for Fleetwood Mac's 2015 UK & Ireland dates will go on general sale at 9am on Friday 14th November.